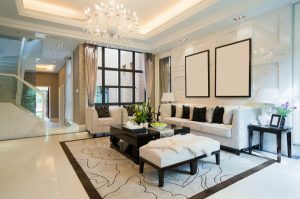 When you are planning on selling your home, there are a few surefire things that you need to implement to attract the attention of potential home buyers. Whether you have lived in your house for a few years or half of your life, there are probably a number of items that you are used to and don’t “see” the way a new person will. 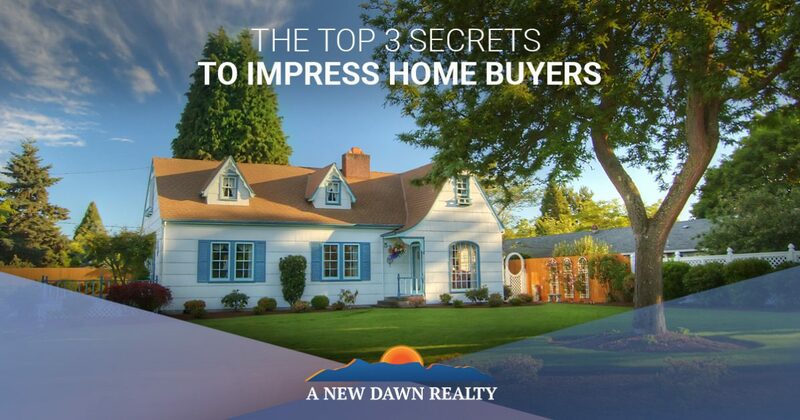 In today’s post, we’ll share with you the top five secrets you need to know to impress home buyers. For the best Realtors® in Stokesdale, be sure to contact A New Dawn Realty, and let us help you sell your home for the price you want. Tip #1 — Lighten Up! Even though we are moving closer towards spring and longer daylight hours, you don’t want to underestimate the importance of proper lighting in your home. Lights add a naturally cheery feel to any home and create an invitation to enter and linger. This is exactly what you want potential home buyers to do — linger. The longer they spend looking around your home, the more likely they are to envision themselves and their family in the space. Make sure that none of your lights have burned out, and turn on as many as you can before you have a showing or open house. The Realtors® at A New Dawn Realty in Stokesdale can work with you to make sure that your home is as warm and inviting as possible before each showing. We cannot stress enough the importance of organizing and decluttering your home before you allow potential home buyers to come see it. As you live life in your home, there are things that sit out all the time because of the frequency with which they are used — kitchen counters are a prime example. Most of us tend to have a number of different items that “live” on our kitchen counters. When you’re not trying to sell your home, this is fine, but when you’re trying to sell, you want to maximize space so that potential buyers can see how much counter space your home has to offer. The Realtors® at A New Dawn Realty in Stokesdale recommend storing most of your small appliances and kitchen items out of sight during this time, especially if you don’t use them every day. Your lawn may not be at its prettiest right now, since we’re still in winter, but there are some nice touches you can attend to so that your home has the best possible curb appeal. Be sure to shovel or plow any snow off of your driveway and the sidewalk in front of your home — don’t forget to salt these surfaces as well! Keep your porch clear of any snow, leaves, or other debris that might have accumulated from winter storms. Be especially careful to check the corners above the doorway for cobwebs, and make sure that your porch light isn’t currently a burial container for moths and flies. A New Dawn Realty is proud to have the best Realtors® in Stokesdale. We are here to help provide the assistance and guidance you need when you are ready to sell your home. From listing your house with competitive pricing to helping you find your new home, we will be with you every step of the way. Call our Stokesdale Realtors® today and discover the difference A New Dawn Realty can make for you.